This spellbinding new musical is the love story to DIE for! 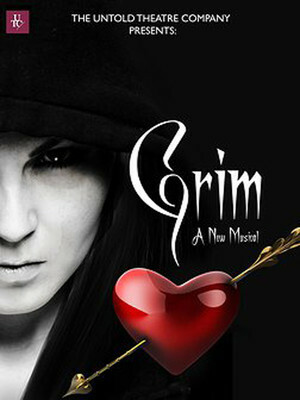 Why See Grim - A New Musical? 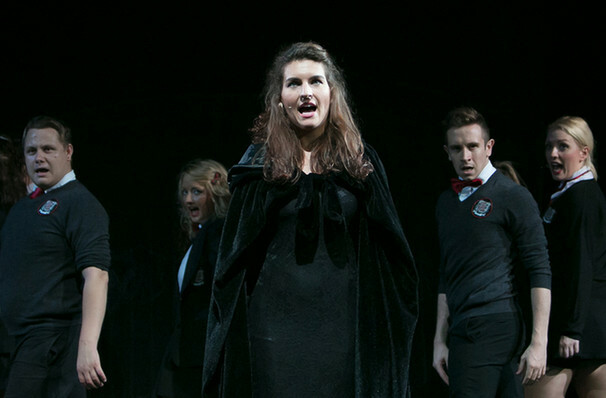 In a stark departure from their smash comedy The Daily Fail, Untold Theatre Company present Grim: A New Musical, a dark romantic tragedy set within a high school setting. When the Grim Reaper takes on human form as a bookish student and enrolls herself at Coeur Noir School, she is desperate to understand why humans undergo torment at the death of their loved ones, when she herself has no soul. Grim manages to alienate all the popular crowd through her quietness and lack of understanding of their jokes(one of the girls rudely asks if she is German!) - all except for Cupid, the dashing popular jock that all the girls fancy like hell - but for him, it's love at first sight when he meets Grim. Taking elements from Wicked, and various myths and legends, two unstoppable forces meet and fall in love - but will their destinies force them apart? Sound good to you? Share this page on social media and let your friends know about Grim - A New Musical at Charing Cross Theatre. Please note: The term Charing Cross Theatre and/or Grim - A New Musical as well as all associated graphics, logos, and/or other trademarks, tradenames or copyrights are the property of the Charing Cross Theatre and/or Grim - A New Musical and are used herein for factual descriptive purposes only. We are in no way associated with or authorized by the Charing Cross Theatre and/or Grim - A New Musical and neither that entity nor any of its affiliates have licensed or endorsed us to sell tickets, goods and or services in conjunction with their events.